Taking good care of your wastewater system with sewer and drain maintenance is the best way to avoid emergency drainage repairs or call outs, especially when carried out by Blocked Drain Bristol. It is a simple matter of having the drains regularly cleared and cleansed of debris and silt, and checked for potential problems. If left, debris and silt builds up and can reduce the flow capacity of the pipe. In time, it can become completely blocked, resulting in surface water backing up and in certain cases even flooding your home. With Bristol Drains Unblocking advanced technology, the engineers can make short work of maintaining your drains and avoiding future problems. Planning and arranging service visits to monitor and maintain your drainage system significantly reduces the chance of both expensive and unexpected emergency repairs in the future. Flushing the system through regularly gets rid of debris build-up which lessens the chance of any blockages and optimises the flow rate of the drains and sewers. If you need an additional reactive service, Bristol Drain Unblocking can also provide drain maintenance at short notice and are just a phone call away. 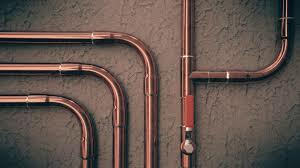 By simply keeping track of your drains and sewers, you know they will be in good working order when they need to be. Many sewage blockages are caused by cooking fats and oils, which solidify in the sewers to form a horrible layer around your pipes. This can stop waste from moving and can cause it to back up, especially when products which were not designed to be flushed don the drain cause an obstruction and block the pipes and sewers. When the waste sewage water can not flow away from your house because there is a blockage it will be evident from the waste that starts to come into your house. If you suspect there is a blockage or if your property has been flooded, let the team at Bristol Drain Unblocking know right away. 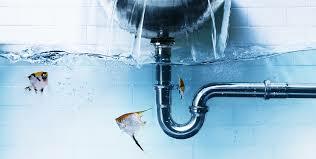 We can deal with this unfortunate situation day or night and ensure that your house is sewage free..